Russell was known mostly as a session musician early in his career, as a solo artist he has crossed genres to include rock and roll, blues, and gospel music, playing with artists as varied as Jan & Dean, Gary Lewis, George Harrison, Gram Parsons, Delaney Bramlett, Ringo Starr, Doris Day, Elton John, Ray Charles, Eric Clapton, The Byrds, The Beach Boys, The Ventures, Willie Nelson, Badfinger, Tijuana Brass, Frank Sinatra, The Band, J.J.Cale, BB King, Dave Mason, Glen Campbell, The Rolling Stones and Bob Dylan. During the summer of 1971, at the invitation of George Harrison, Russell played piano on Badfinger’s third album, Straight Up. The piano part complemented Pete Ham and George Harrison’s dual slide guitars on Badfinger’s “Day After Day”. 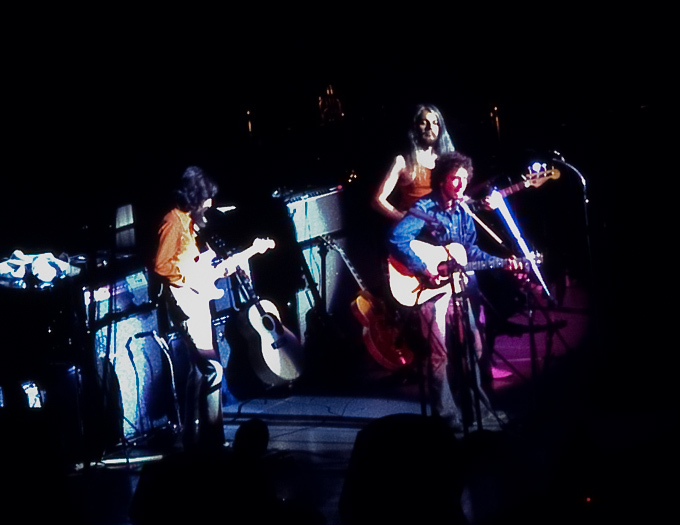 The Straight Up sessions were interrupted when many of the musicians left for New York City to participate in the Concert For Bangladesh, at which Russell performed a medley of the songs “Jumpin’ Jack Flash” and “Young Blood” and sang a verse on Harrison’s “Beware of Darkness.” Russell (on bass guitar) and Harrison (on electric guitar and vocals) also played on a number of Bob Dylan’s hits. A busy year for Russell, 1971 also brought the Shelter release of Leon Russell And The Shelter People and Asylum Choir II (which was co-produced by Marc Benno). That same year, Russell played on recording sessions with B.B. 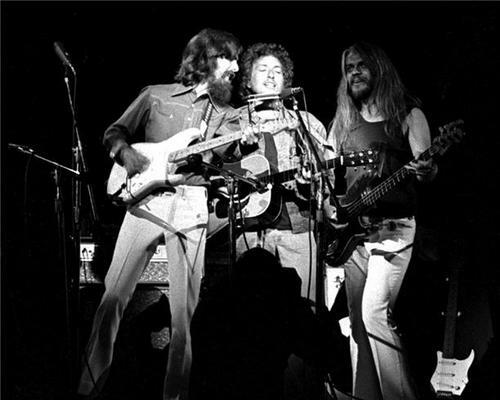 King, Eric Clapton, and Bob Dylan. They recorded When I paint my masterpiece and Watching the river flow. Between 1967 and 1970, Dylan recorded and released four albums that incorporated country rock elements: John Wesley Harding, Nashville Skyline, Self Portrait, and New Morning; all four were produced by Bob Johnston. At some point during the New Morning sessions, Dylan apparently decided that he did not want to work with Johnston anymore. 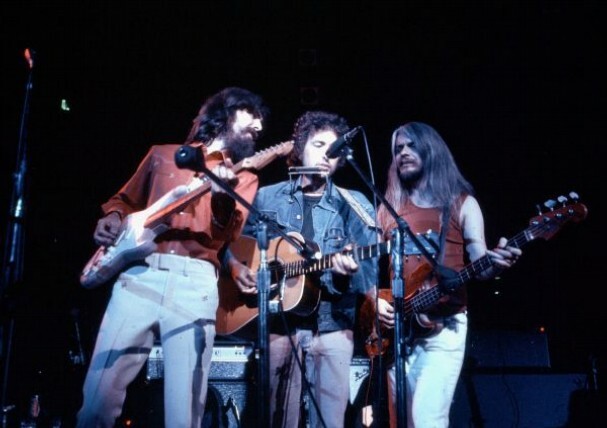 For his next recording session, Dylan asked Leon Russell, who had made a name for himself through his work with Joe Cocker, to help him find a new sound. Russell suggested that Dylan come record with him at Blue Rock Studios in New York City. It was the first time for Dylan to work with an independent producer, as opposed to an in-house Columbia one. The session took place on March 16–18, 1971. Russell assembled a musical backing group that included Carl Radle, Jesse Ed Davis, and Jim Keltner. 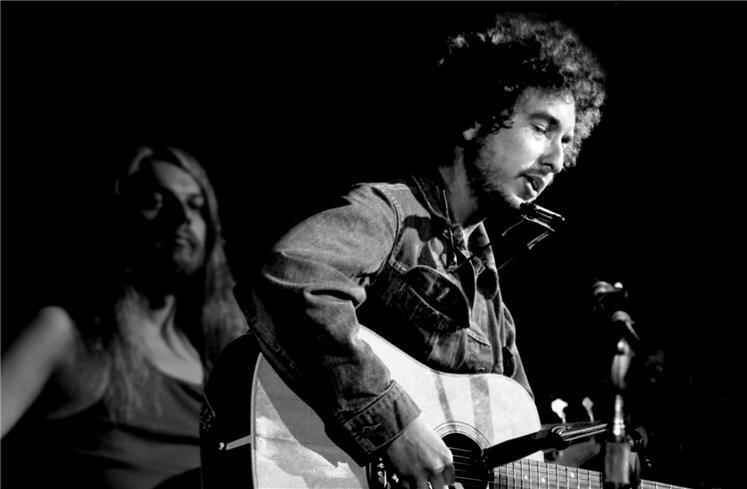 Dylan recorded a number of covers, among them “That Lucky Old Sun” and “Spanish Harlem”,as well as two originals: “When I Paint My Masterpiece” and “Watching the River Flow”—the final song put on tape at the session. Russell recalls that when developing the song, the basic track was recorded first, before any words or melody were written. The track was based on in-studio jams done during the session. The music of “Watching the River Flow” has been described by different critics as a “Blues-powered sound”, “featur[ing] some blistering guitar work… and rollicking piano work from Russell”, and as “an energetic, funky-gospel rocker”. Later during the session, Dylan wrote the lyrics and melody, which took him ten minutes. Biographer Clinton Heylin notes that Dylan borrowed lines from “The Water is Wide” and “Old Man River” for the composition. 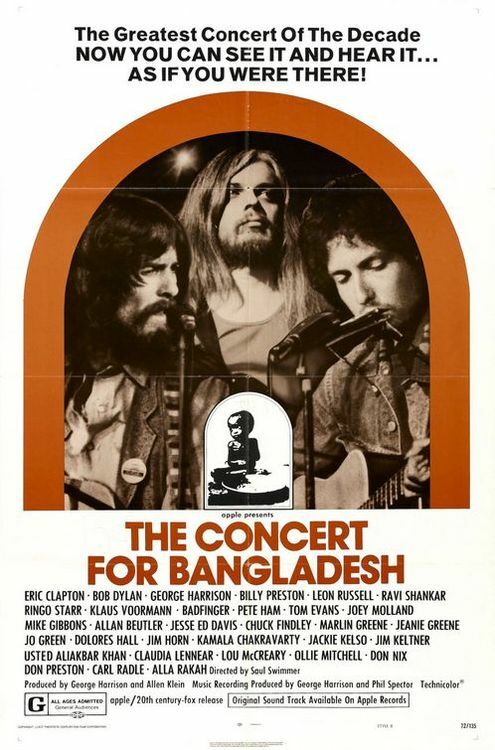 Four and a half months after the recording session, on August 1, Russell was part of Dylan’s backing band when he performed at the Concert for Bangladesh, organized by George Harrison. In November 1971, Russell accompanied Dylan into the studio again to record Dylan’s next single, “George Jackson”. On this session, Russell played bass. 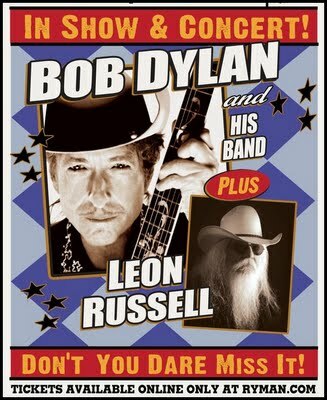 Russell has not recorded with Dylan since, although they did tour together in 2011. It was Leon’s blues-heavy version of Takes A Lot to Laugh that introduced me to the song. He helped make Watching the River Flow a classic, as well. Wish the two would have worked together more often. Thank You ~ From one of Leon’s many best Fans.